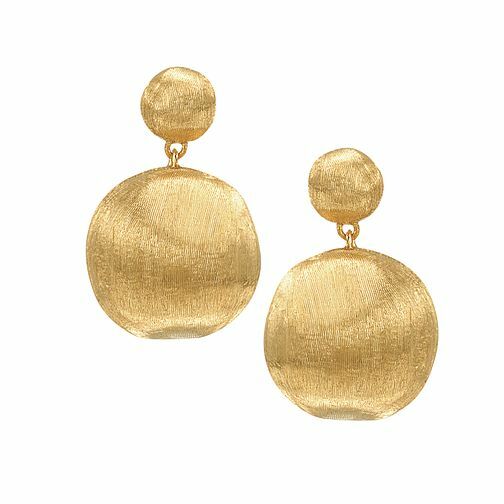 Marco Bicego 18ct yellow gold elegant boule earrings. The Africa collection features hand engraved gold boules inspired by African tribal jewellery. Marco Bicego jewellery combine passion and craftsmanship in these stunning designs.